Masque is an ingredient-driven restaurant set in Mumbai’s former industrial mill area. 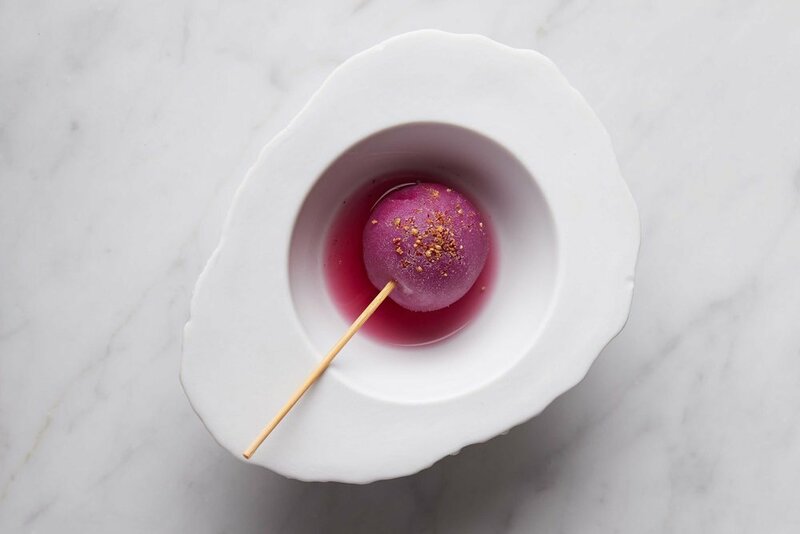 Co-owned by Chef Prateek Sadhu and entrepreneur Aditi Dugar, the restaurant offers a 10-course chef’s tasting menu, a first of its kind in India. The decidedly nouvelle cuisine at Masque is inspired by Kashmiri-born Chef Prateek’s own journey with food, starting with his formative years as a migrant in Jammu, where the arrival of precious ingredients from his family’s homeland in Kashmir and their ensuing dishes unleashed nostalgic tales. The story of Indian food is strongly about migration, exchange and influence. Today, just as India moves forward and re-defines itself as a 21st century nation, so too does its cuisine. Chef Prateek sees this movement as a process of distilling and digesting what he learnt from his own family’s culture, to reach the essence of who we are. For Chef Prateek, this starts with the ingredients, sourced sustainably and exclusively in India. Often these ingredients have been forgotten by a homogenised definition of ‘Indian’ food. Sometimes the ingredients are foraged, bridging chef to land. Kashmir is an important influence on Chef Prateek’s cooking. Traditional foods are prepared in new ways, where the focus is on putting what is essential on the plate, and bringing out singular, but familiar flavours. What makes our food so special is not the form, or the name of a dish, but the magic of the flavours. At Masque, we seek to remove the layers and through abstraction, re-discover the core of Indian cuisine. order from our new a la carte menu of bar bites. You can see our current 10-course menu here. *The price excludes service charge and government taxes as applicable. Masque's extensive, ever-evolving cocktail menu is inspired by ancient Ayurvedic philosophy, drawing upon the five vital elements: Bhumi (earth), Jal (water), Agni (fire), Vayu (air) and Akash (aether or void). 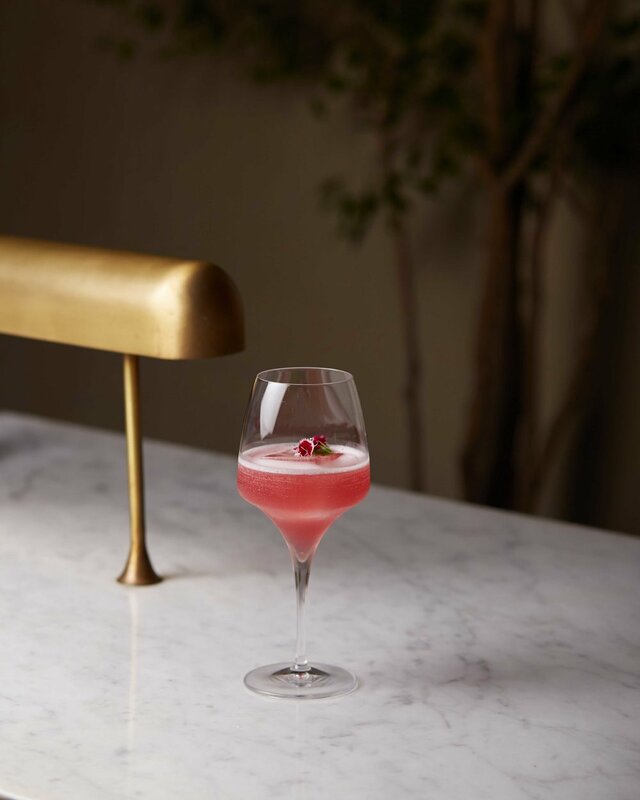 In tandem with the restaurant’s ethos, our mixologists use locally sourced ingredients, handmade juices, syrups and mixers to craft cocktails that are thoughtful, well-balanced, and always inventive. New menus are introduced with each seasonal change to incorporate fresh produce and new ingredients. The Masque bar also runs the Ori-Gin programme, offering you a selection of herbs, spices and fruits to infuse your own customised gin. Our wine list is extensive, and comprehensive. We believe wine is meant to complement the food without being formal or intimidating; we aim to take some of the mystery out of wine service and selection in the hopes of making the process of consuming it more accessible and relaxing.